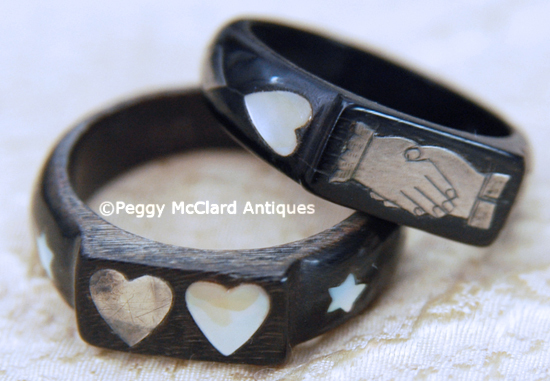 This is a very pair of 19th century love token rings of a quality and uniqueness that I've never seen before. 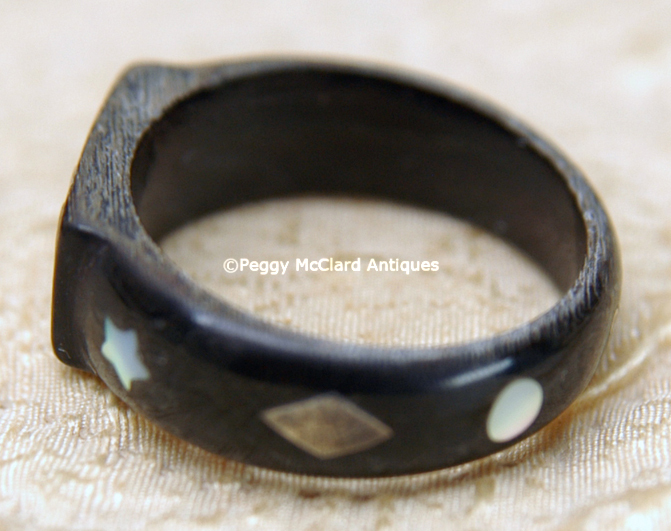 Carved of ebonized wood (I don't know the type of wood), this very wearable antiques were probably made for a woman and a child or possibly made for siblings by their parents. 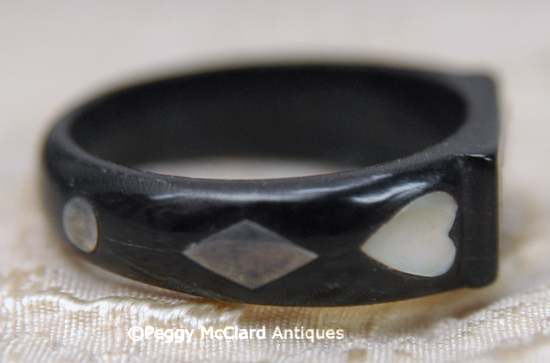 Each ring is centered by a platform (or plateau) and each is inlaid with silver and mother of pearl ("MOP"). 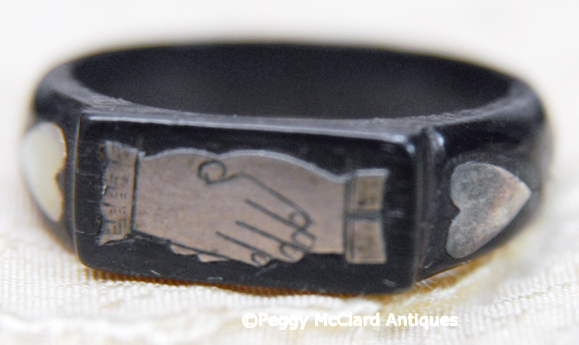 The smaller ring is inlaid with a pair of conjoined hands flanked by one MOP heart and one silver heart. 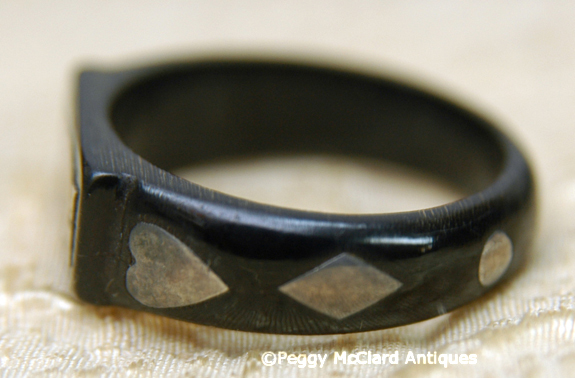 Directly behind each heart, this ring bears inlaid diamond-shaped silver. 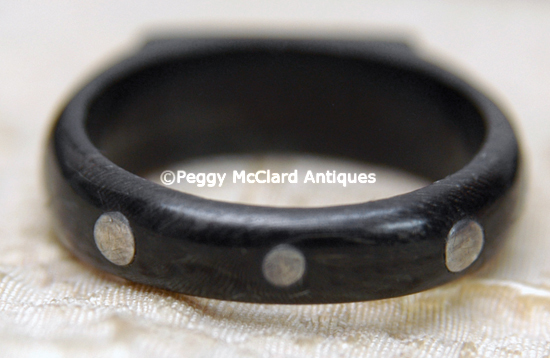 The back of this ring bears three round orbs of silver. This ring is a size 5 3/4 US. The larger of the pair is centered with one silver and one MOP heart. Two star-shaped MOP inlays flank these hearts. Behind the stars are followed by diamond-shaped silver inlays. 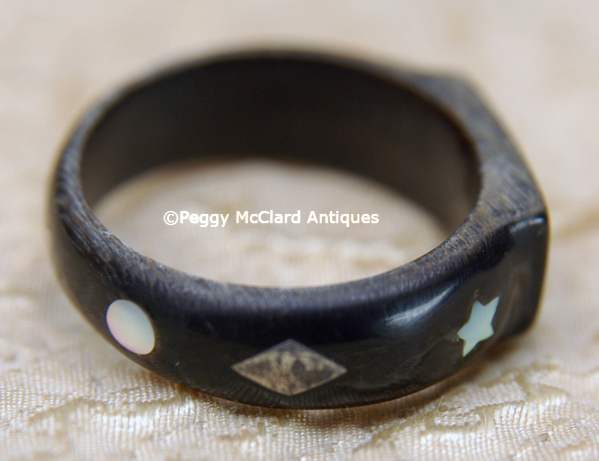 The ring is backed by two round orbs of MOP inlay and one smaller silver orb. 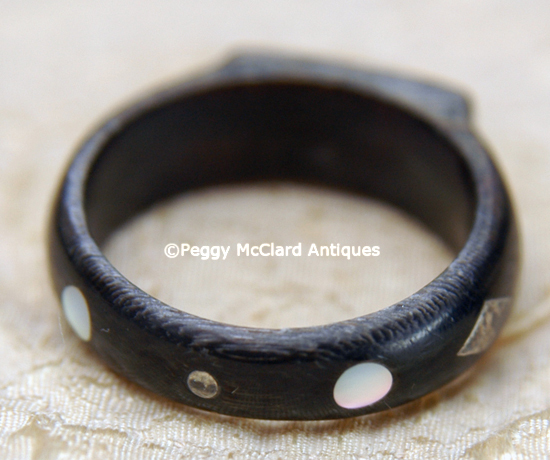 This ring is a size 6 3/4 US. Condition of both is wonderful. 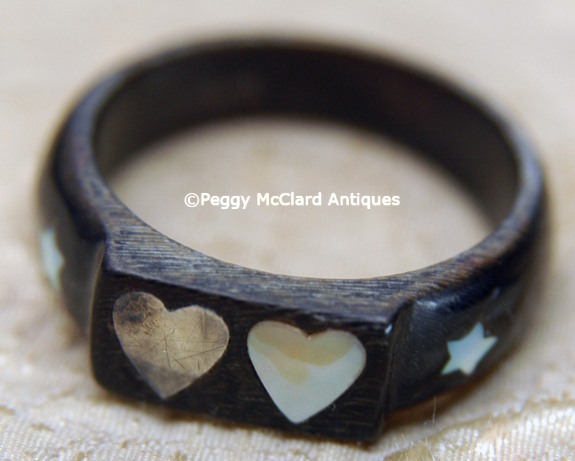 The stars and two of the orbs of the heart ring were lost have been professionally restored. The patina of the old and restoration are a beautiful match. These early 19th century tokens of love are fantastic! Please see our Tokens of Love & Friendship page for more information.